Cotton Economy Towels. Perfect for Auto, Print Shop, Industrial Use etc. Minimum Order 10 Packs. 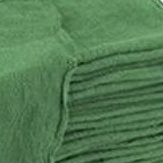 Highly Absorbent, Durable Towels - Buy more SAVE more!! Cotton Economy Towels. Perfect for Auto, Print Shop, Industrial Use etc.